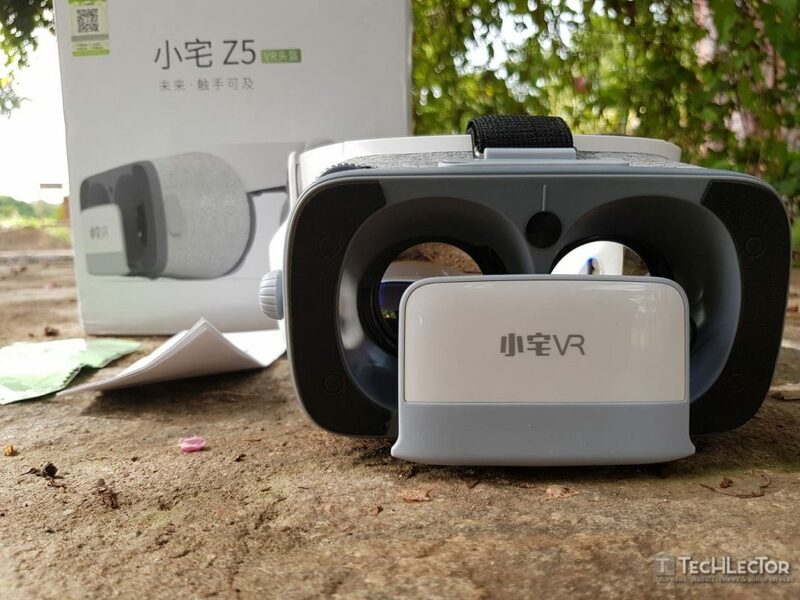 In June 2017, Bobo VR, a tech company located in Shenzhen, GuangDong, China released what some have called a Daydream View headset into the market. The gadget was listed on Amazon in the month of August 2017. Thinking of getting a Daydream VR headset? Then you’ll need to first make sure yo have a daydream compatible smartphone. Currently, there are about 15 daydream compatible smartphones, but are most being expensive flagship devices and almost all having a quad-HD display or higher. This is the reason why Google’s Daydream View headset has the slow, yet steady growth since its launch last October. With Bobo VR Z5 Youth Edition, you do not need to buy any of those expensive flagship devices to use a daydream headset. The Bobo VR Z5 3D virtual glasses case is made of white cardboard. It’s a pretty big box, which will bulge a lot in the back of our closet. The upper cover of this has the name of the company and the model of the glasses printed in black next to a picture of BOBOVR Z5 Daydream glasses so that we can get an idea of what the glasses inside are like. In addition, in the upper left part of the lid, we can see a small sticker of the brand in which we verify that it is an authentic product. As for the back, we can see the company logo along with its website at the top. Also in this area, we see a series of photographs of this device so that we know how it is physically in its entirety. In the lower part, we find a series of specifications about the device and a sticker that indicates the origin of the product, which in this case is from China. Both sides are identical and the only thing we can see is the logo of the brand and the name of the product model that we analyze today. When opening the box we find the product accommodated in a white plastic in which they fit perfectly. In turn, they come inside a white plastic bag to avoid scratches. 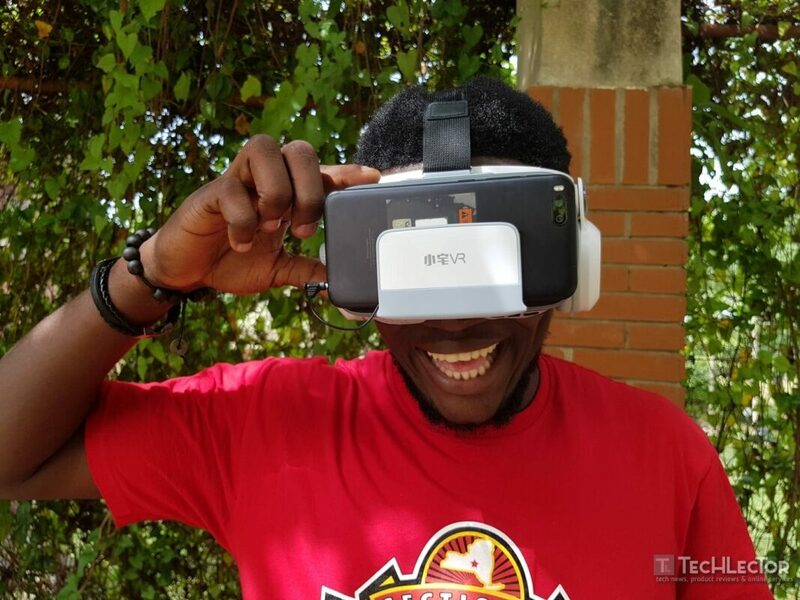 The Bobo VR Z5 comes in two variants; the Standard Edition and the Youth Edition. The Standard Edition comes with a VR motion controller, while the Youth Edition does not. 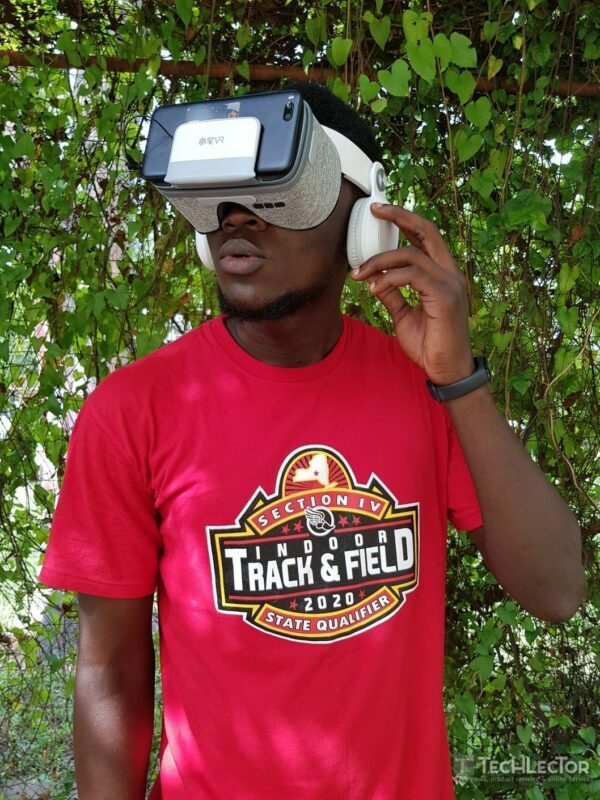 The Bobo VR Z5 Youth Edition is a 3D VR mobile headset that young people have fallen in love with because of its performance. It works with daydream-enabled smartphones available. Bobo VR Z5 is built with 720° surround stereo and provided with the ability to restore real sound and the HIFI earflap can isolate noise. 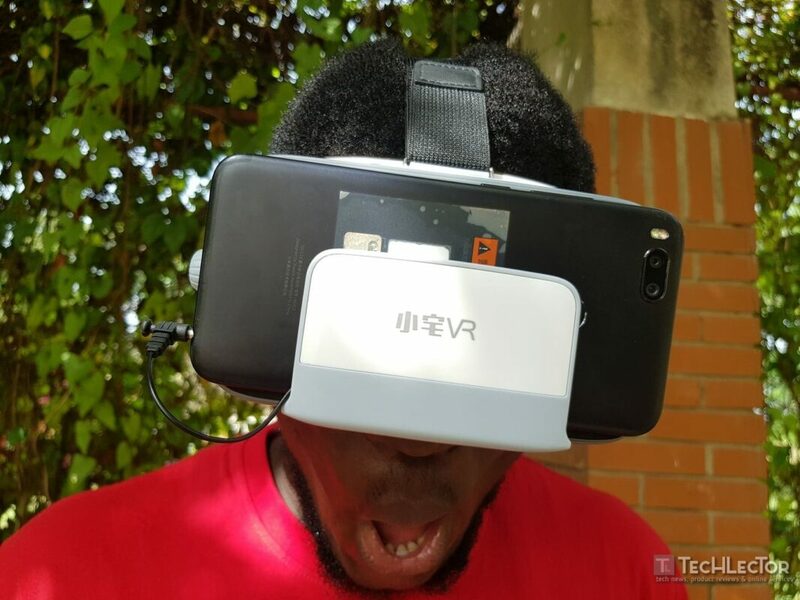 One spectacular thing about this Bobo VR Z5 is that it is able to take away the ‘pain points’ of using virtual reality on smartphones. So if you had a problem with Google’s Daydream View headset, you may turn to Bobo VR Z5 for comfort. Bobo VR Z5 has the comfort for users where other headsets don’t. 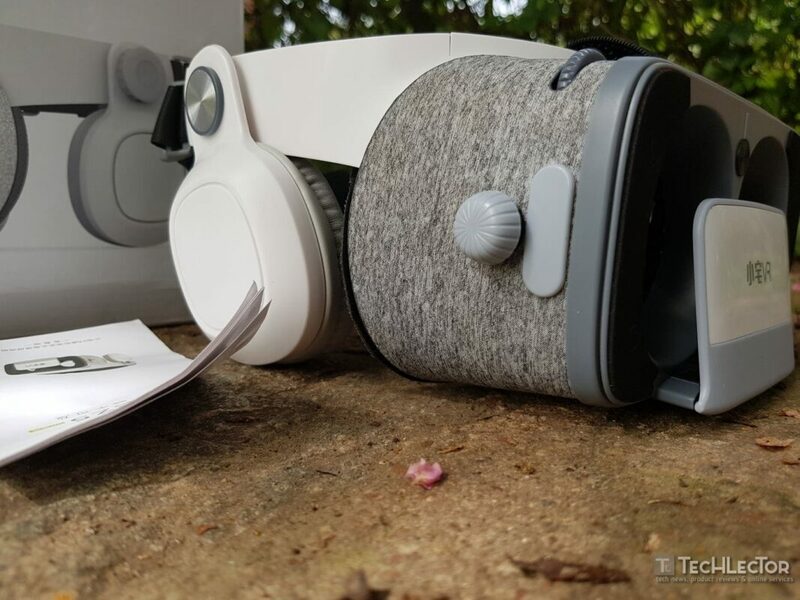 This Bobo VR Z5 is the Google’s Daydream View headset lookalike; it has that gray upholstery lining which has goggles. It doesn’t have an elastic band that goes around the head but it has an adjustable head mount, which can be adjusted to fit all head sizes. Draw backward the straps on either side and pull out the buckles to adjust the hard plastic shell. It can be hard to be figured but you can find your way around it. The adjustment helps to use it for a very long time without aches on the ear or on the head. Unlike other Daydream View headsets, the Bobo VR Z5 Youth Edition will not slip from side to side if you move or sway your head. Bobo VR has made the rookie mistake of forgetting that some of us are born with big noses… It’s a tight squeeze with the Z5. Even with my normal sized nose, I’m experiencing a noticeable amount of pressure. 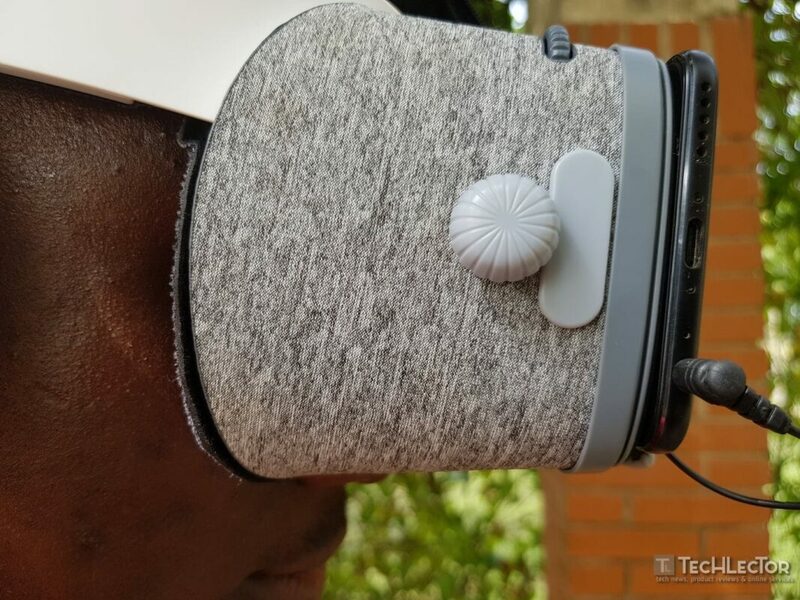 The Daydream View headset elastic band is able to secure your head around your temples but the Z5 headset makes you feel sometimes as if you are having a crown sitting on your head. You may be thinking Bobo VR Z5 is hard to configure just like in the case of the other Daydream View; in the case of Bobo VR Z5, you only need to adjust the optics once you place the phone inside the front slot. 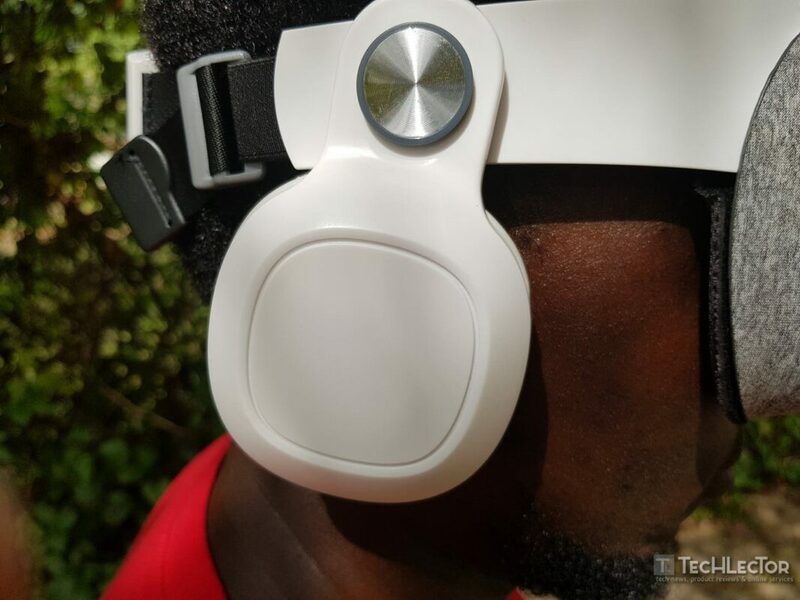 A good feature of the Bobo VR Z5 headset is the built-in HiFi headphones. These headphones connect to the smartphone with auxiliary cable or a headphone jack. The bad part is that some smartphones may not be compatible with Bobo VR Z5, so they may have to use the 3.5mm jack dongle if the smartphones would work for Bobo VR Z5. Using a dongle on a Bobo VR Z5 makes it weight a bit and that can be a little uncomfortable. One thing is clear, if you use a dongle, it can be embarrassing when you know that the dongle sticks out and is waving around while you were doing your chores. The advice is to get a smartphone that has the 3.5mm jack. The sound quality of the Bobo VR Z5 headset is good enough when compared to the price or to its peers. Use the bass to get a ‘boomy’ sound that anyone would love. Of course, you would love the playback because it doesn’t sound too tiny. You could boast of surround sound kind of, but Bobo VR Z5 lacks active noise cancellation. This means the user may hear outside sound distractions even if he or she is in the middle of the session. Since the headphones can rotate forward and backward, you have the option to use a pair of wired in-ear headphones in case you do not like the sound quality of the built-in headphones. In our case, the VR headset we have got did not come with the third party daydream controller; although, one can easily get just the controller on the Aliexpress website for a token. A compatible controller made just for Bobo VR Z5 is not a bad idea because it offers something of an ergonomic edge. 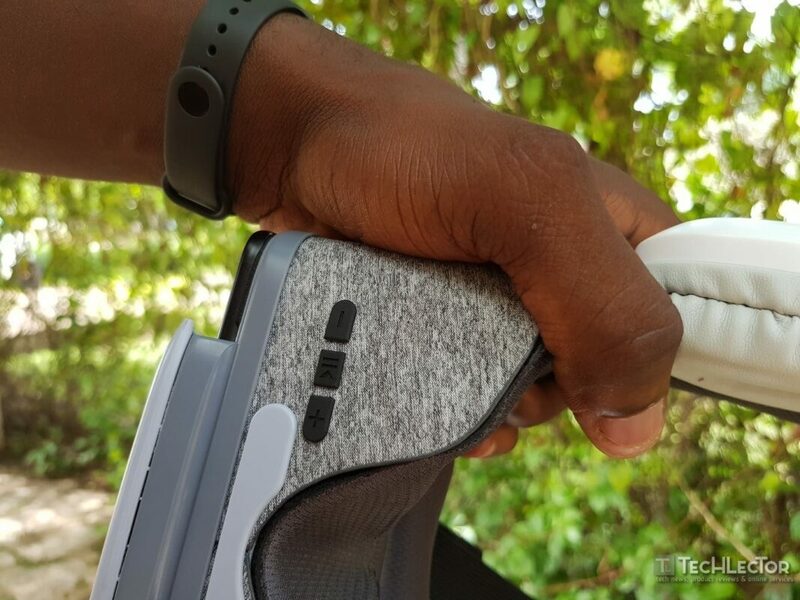 The grip that the user can have on the controller of Bobo VR Z5 can’t be compared to the grip that users can have on other headsets. Other headset controllers have flat-sided oblong Daydream View controller. The user can’t easily get a grasp on that but Bobo VR Z5 controller has a slight hump towards the rear on which the user can grasp firmly. Of course, anyone can hold the controller like a wand. This controller easily charges through a USB-C and it features the same volume rocker, having two buttons, and a touchpad layout. All you have to do is pair the controller to your smartphone’s Bluetooth menu and Daydream will easily recognize it. Controller performance is good with the Daydream hardware and tracking is also good but sometimes you may have to continually hold down the Home button in order to re-orient the controller. When you think of the Bobo VR Z5 headset, think of it as a third-party gadget that’s more comfortable than Google’s offerings. They both sell for about the same price, so going for the cheaper one that offers more comforts and additional features like the Bobo VR Z5 headset is a wise choice. Make sure you have a headphone jack on your phone before you buy it or you may run into trouble. In some cases, if you don’t know how to adjust Bobo VR Z5 headset, you may have trouble pushing them to your ears to keep outside noise out of the way or to listen to more bass. Some think that even with a headband, things are still not very comfortable. Bobo VR Z5 also has the weight ratio improvement giving you the wearer a long time wearing possibility and reducing the head fatigue. Soft Headband: This improves the wrapping and the comfort when lying down. View Window Improved: View window optimized, natural and easier to view and also compatible with more smartphones. More Longer Earphone Line: The headphone line is also longer and compatible with large-size smartphones. Panel Changed: The metal shaft is more durable and larger panel makes the phone more stable. Button Position Changed: It is easy to operate; the button and MIC are moved to the left side of the bottom of the fuselage. The earphone is Improved: The decoration button is changed to CD patch. The button is removed. Sound cavity changed and bass effect improved. Search Go VR Player in the App Store or Google Play store and download it on your device. Open the VR Player app on your device, tap “Local Videos” and select the video you want to watch. Tap on the VR logo on the top right of the screen. Open the front cover and insert your phone in it, then connect the headset jack to your device. Adjust the fuzziness and double images by adjusting the 2 pupil distance adjustment switches at the top of the device. When you see that there are no fuzzy images, you got it right. One thing I like about the Go VR Player is the head tracking system. This great technology lets the player track head’s drift movements. Thus, the users can fully control the video; Pause and Play, change the view either from 2D to 3D, or 360° View and others without using a VR controller. In conclusion, we can say that these glasses are quite similar to the official Google, both in quality of materials and comfort. Of course, we recommend that if you do not have one of the phones compatible with the big G, choose the standard model that incorporates the touch module in the band of the subject. The price may not be the same everywhere. For availability, you can find it on several websites at this time and also, you can find it offline. Bobo VR Z5 Youth Edition costs as low as $35 on Gearbest. 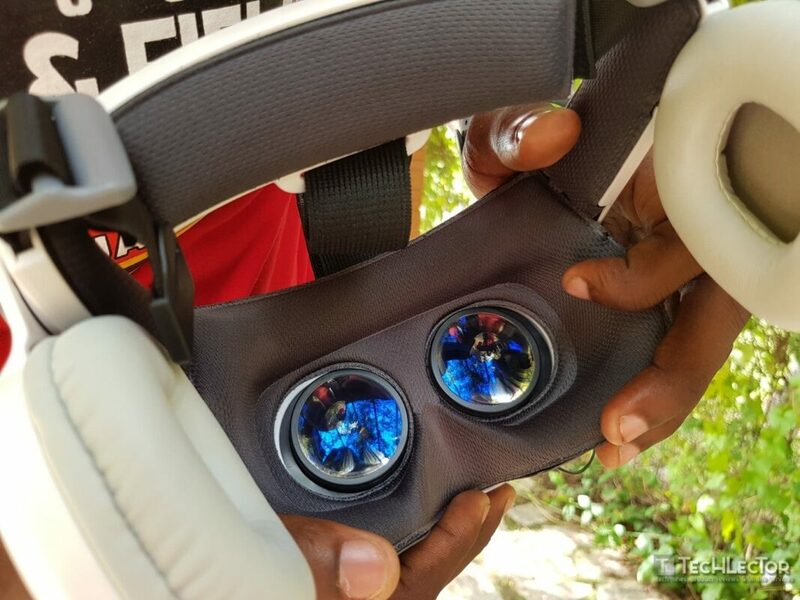 The Bobo VR Z5 headset is connected to the Google Daydream platform, which is more interesting to experience the VR. These virtual reality glasses have a 720 ° stereo audio, so be prepared for an unforgettable experience.